One of the problems with antidepressants is their side effects, such as fatigue, anxiety, loss of libido, and sleep disturbance. Dr. Willoughby Britton and her research team at the University of Arizona wanted to find out whether mindfulness could help with sleep disturbance – one of the most common side effects of antidepressants. Researchers randomly assigned 23 participants, all of whom were taking antidepressant medications, to one of two interventions. Some received a mindfulness-based cognitive therapy course while others were placed on a waitlist to serve as a control. Throughout the 9-week study, subjects in both groups completed sleep diaries, including their total sleep time, time in bed, latency of sleep onset, sleep quality, and other measures. Researchers also took polysomnographic and electroencephalographic recordings before and after the treatment phase. There were two major findings. First, people who got the mindfulness training reported significantly greater sleep time compared to the controls. They also reported a better ratio of time asleep to total time spent in bed. But what’s even more interesting is that the polysomnographic data supported the self-report measures. In other words, people who got mindfulness training were getting more sleep – objectively. This study adds to the research that suggests mindfulness could be a useful aid for patients who are taking antidepressants. Imagine if mindfulness could help with side effects of other medications – I’d be interested to see more research done on this. There is one caveat, however, and that is that when we use the no-treatment design for our control group, there are limitations on how we can generalize the findings. That’s because we don’t know whether the treatment group is responding to the treatment (in this case, the mindfulness training), or to the special attention they were receiving. I would love to see this study redone, but with the second group given a different treatment instead of being placed on a waitlist. If you’d like to learn more about this study, it was published in Psychotherapy and Psychosomatics, volume 81, no. 5. What is your experience in using mindfulness with a client who was having trouble sleeping? Please leave a comment below and tell us about your experience. 10 years ago, a man posed as a healer, age 53, with Aspergers Syndrome, named Micheal Owen howell who currently lives in germantown maryland, came to my door. I was moving and as he was talking I detected he was very evil. I said I am sorry, I do not want to talk. Since that day, every day, this being has bothered me day and night with mind control, stalking, remote viewing and imagines wrongs that were not done. Energetically does things. I have become a TRAUMA sponge for this being. Please help. This is not a hoax. When going through a period of waking in the early hours of the morning and being unable to get back to sleep myself I remembered a technique of “Chi Building” (building of the inner energy using relaxed breath and three simple hand positions) that was taught to me by an Eastern Master. It was traditionally done in the ‘Horse Stance”, but it was winter and cold and I had no desire to get out of my warm bed in the early hours of the morning. Thinking this through I practised this form of chi building lying in bed to determine if it would work this way. Occasionally I would go back to sleep and wake up at my desired time still in the relaxed chi building position. After about three weeks of nightly practice the results really begin to kick in and I began to feel lighter and calmer with more fortitude in the morning at ‘get up’ time and more energy for the day. After about six weeks I found that I could get all the work I needed to accomplish done in the next day and still feel focussed though tired that night. This saved my business until I brought myself back into a regular comfortable sleep cycle over six months. In my practice I have often given this to clients who wake in the night and have difficulty getting back to sleep. About 80% do practice this regularly when awake in the night and all have gained great benefit from doing so. I would love to learn more about this — do you have a print copy of this you could send out? Yes, send me an email via my website. It comes as a PDF. I struggle with not sleeping since a long time. I would love to hear from you what you have found helpful. May I also have a copy. I have a client that has frequent nightmares and cannot return to sleep. This sounds like it could be very helpful for her. Your study offers hope ,.not only in it,s basis ,but in the many responses .from others. Barbara ,you resonated with me so much ,your words were so honest and true. I truly believe loving kindness is the key and should be at the core of every approach used. Speaking as a person who has been there,all you hope for from others is to be heard and understand. Taking a mindfulness course truly changed my life and I try to practise it as a life style for it all boils down to Self acceptance and self love. Sleeping is still a challenge and I will work on the words of another response ,in this moment I am safe,in this moment I can breathe freely and love myself. Thank you Ruth and others for your encouraging words. In the moment I am safe. In the moment, I can breathe freely and love myself. These are the words that have comforted my clients in insomnia. It appears to be a fast growing problem due to our pace, our technology, our expectations, and internal distress. Sometimes it takes a “problem” with this much fundamental consequences, to get people’s attention, and slow it down. Thanks for your offering. Wonderful! I’ve been practising mindfulness technique in my clinic with clients having anxiety issues and it’s there able to make out significant reduction in their anxiety levels with regular practice. The Buddha’s technique has been a great contribution here. I agree with Ruth, that a more effective study that compares both groups getting a form of treatment would be more convincing. I know from personal experience, that simply receiving care and kindness when in a state of depression is incredibly effective (as a human experience in general as much as a so-called treatment). What is most disconcerting and challenging is that when in a depressive state the lack of awareness of those around us makes it doubly isolating and feeds self loathing. It is truly challenging to be ‘that vulnerable’ because not everyone understands or tries to understand. Depression is not a lack of character but a true search for meaning. It is a brave place to go actually. The beauty of mindfulness, also from my experience (especially when offered by kind others), is that it is a fantastic way to connect with supportive others (re-establishing safe attachment) and also for then helping the receiver to find that kindness and support within themselves. I was unable to do any mindfulness training, or meditation on my own with Ptsd. It was only when I joined group therapy was I able to feel safe enough, and loved enough to find my way back to my own resources. I know it is not the case on this forum, but the ‘just get over it’ mentality is very much alive and well in our communities and workplaces. I would also argue that for most people, anti-depressants help people for the same reason as mindfulness. Finally, someone is acknowledging my struggle and helping me. It can pull a person out of the depths – give hope which is so key. Roger Elliot of Uncommon Knowledge hypnotherapy has developed a beautiful, loving program to help those who experience depression. Interestingly, his research shows a huge correlation between sleep and a cycle of anxiety and rumination. So getting proper sleep is a core of finding our way back wellness. Anti depressants disrupt sleep. There are so many other ways to work towards good and healing sleep. Mindfulness would be one of them. Once in a blue moon I take ativan…just to break the cycle. No more than 2 nights. It works because I understand the cycle and I do intervention in the spirit of kindness towards myself. Could it be that loving kindness is the key? I certainly believe all interventions must have this at the core. This is so cool ! Thank you ! If you have sleep apnea getting to bed and sleeping can be quite difficult. There is the mask to deal with and using some A & D ointment on the latex part of the mask helps with having a latex mask against your face so that you can minimize getting rashes. You can also try a different mask that fits better. Getting to sleep is quite difficult and doing mindfulness might be quite helpful. In the field of meditation some folks do not want meditation to be used for getting to sleep. What they will tell you is that if you pair meditating and sleep then other times during the day if you meditate you will have a tendency of fall asleep then as well. Weather that is true of not I do not know. I have not meditated to fall asleep. I find that meditation keeps me awake with a calm sense of energy. I wonder how they came to the conclusion that the sleep disturbance was a side effect of the anti-depression medication, since sleep disturbance is commonly associated with depression. I don’t have experience with mindfulness with insomnia as a SE of anti-depressants, but I do have experience with mindfulness practices for sleep disturbances. I have successfully used the ‘Mini-Moves’ and ‘Guided Natural Breathing’ techniques taught by Michael Krugman who developed the ‘Sounder Sleep System’ for my own sleep disturbance, and I’m currently training to become a Practitioner of that approach. It’s a mindfulness practice deriving from the Feldenkrais Method that emphasizes the importance of doing some things during the day to down-regulate hyperarousal during the day, as well as at bedtime to induce sleep. The one way it differs from the typically recommended sleep hygiene measures is that instead of getting up out of bed to do something until you get sleepy again, it gives you something to do while you can’t get to sleep that helps you avoid obsessing over the fact that you are not able to get to sleep. Very often the techniques do help to induce sleep at the particular time they are used, but even on the occasion that they don’t, they induce a meditative state that helps over time to interrupt the vicious cycle of hyperarousal and sleeplessness. For me, over time, these techniques have increased my mindfulness throughout the day, decreased the time it takes me to initially get to sleep, to sleep in longer segments, and to return to sleep quickly after awakening during the night, such that I rarely experience the kind of daytime sleepiness I so frequently experienced before. I might add that I don’t need to use the specific Sounder Sleep techniques on a routine basis anymore, but I do still draw on them on the occasion that I am having difficulty getting to sleep. Psychiatric medications are commonly associated with sleep disturbances – from affecting dreams, increasing sleep time, encouraging sleep or creating insomnia. Antidepressants are most commonly prescribed for depression but often are prescribed for other illnesses such as bipolar or anxiety disorder. Both the underlying disorder and the antidepressants themselves can impact sleep. Most antidepressants are known to negatively impact a natural sleep rhythm. Thank you. We have corrected the post. This is great. 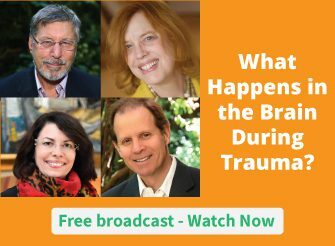 Folks with trauma/PTSD may have to tailor these practices, as luminaries like Bessel Van Der Kolk have found. Until the “Self” is strengthened, the prior habits & beliefs that they’re survival-key of rage, helplessness, trauma just get retriggered & overwhelm. Care must be taken to slowly & mindfully teach these new, valuable habits in these instances. Blessedly, more is being learned about this. Caveat Emptor. Sleep disturbance is NOT a common SE of antidepressants, and most people find it helps sleep. The research is very good stuff, and mindfulness is a good tx for depression. It may not be common but I found while on Wellbutrin that my body would go rigid at night, which was pretty distracting for falling and staying asleep. I also developed tinnitus while on this medication. Contact with safe people is what helped me move towards mindfulness, meditation, relaxed breathing, as well as, researching everything I could about anxiety/depression which very much reduced the unfortunate stigma for me. I would agree that drowsiness was also in the mix. I am much happier with my approaches now that do not involve medication. Having said that, we know that it is what some people need. My own personal experience is what I do whenever I want to fall asleep. As long as I am truly tired, the following works everytime. 1) I relax tension in my hands, legs and face. 2) I create a peaceful nature image to focus on. ‘In’ ‘out’ or ‘one’ ‘two’. I am asleep within a few minutes. Thank you. Ben. I believe mindfulness, meditation or relaxation techniques will help most people quiet the mind or provide a positive distraction from thoughts that prevent or interfere with sleep. In my experience it is also important to develop a routine that prepares you for sleep. If you experience congestion at night use a saline pot or flush at least an hour before bedtime to clear your nasal passages and let them drain. We all know to avoid caffeine for several hours prior to bedtime, we also should avoid food and certain foods (sugar, spice, etc…) will result in restlessness and vivid dreams. Some people read to relax their mind, for others reading is stimulating. The list goes on and such strategies can be found online and are taught a sleep clinics or with sleep apps. I believe we need to take the time to develop the routine that assists us with sleep. I have been using the body scan meditation the Jon Kabat Zinn has in Mindfulness Based Stress Reduction during a long period of stress. It has helped ne to use less medication. I also recommended it to people undergoing surgery and cancer treatment. There is a greater sense of control over one’s life and body, comfort and relaxation. I would like to now see if when I add self compassion training and emotional soothing techniques if this would increase the effect of ease and relief from medication induced body changes. And acupuncture with a practitioner who knows the correct points has been helpful for a few days to relax me for sleep It is too expensive to do it enough, however. I do have a client who has added, for the last 6 months, listening to guided meditations right before she goes to bed. This has helped her sleep significantly. She no longer worries about getting to sleep and seems to sleep soundly through the night. People often use alcohol to help them crash out after long hours at work. But like massaging the figures in Accountancy alcohol just keeps one feeling comfortable -but in excitable state. Mindfulness is about experiencing what body sensations and breath feels like, so one can recognise if one needs a slowing down or a resilience exercise to bring one’s stress level down. I find that C.B.T. exercises are a great aid to being mindful because I come down from negative mood into slowed down sense of presence after doing an ABCDE resilience exercise. Mindfulness writers often ditch the C.B.T. written exercises, so study Jason Satterfield’s course on The Great Courses to get a different angle on combining Mindfulness and C.B.T. I would also like to know more about how the word ‘significant’ is being used in “significantly greater sleep times” … that is, did the study find only ‘statistically significant’ improvement in sleep times or were they in terms of treatment effect also significant. I’m always a bit suspicious as, as we all know, one minute can be statistically significant with a large enough n but chances are has no significant effect on quality of life. When HPA axis is off from TBI, retinohypothalmic pathway can be used disturbed, then circadian thythm is disrupted sleep is a problem. I’m going to see a neuroptometrist to get it corrected with glasses. No doctor, meditation, therapy or brainwave balancing has been able to help me. Just began using the phrase “In this moment I AM safe” with a new client whom has insomnia due to severe anxiety. I will keep you posted. Thank you for your service. I’ve been using mindfulness for the last 9 months and have found it really helpful re my sleep problems.